The EMS Spin Coater Model 6000 provides a simple and economical means of applying highly accurate coatings to silicon wafers, ceramic substances or other flat items at upto 10,000rpm. The Model 6000 consists of a bench top spinner and a remote control unit, linked by a flexible cable. 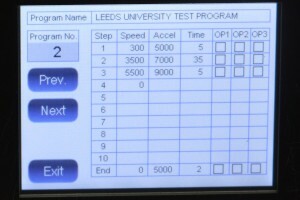 The EMS 6000 now comes with touch screen programming and PID speed control. 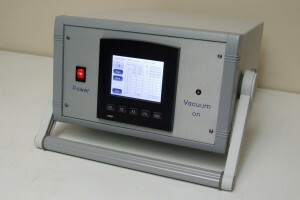 Additional outputs for controlling resist pumps, developer systems and infrared systems.